SO FREAKING ADORABLE!!!! 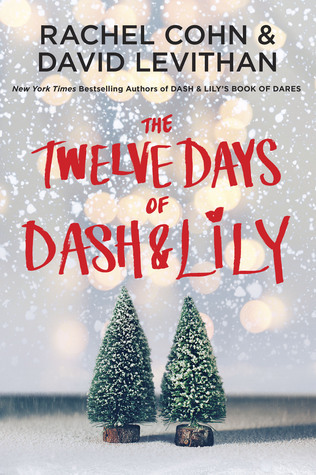 This is the sequel to Dash and Lily's Book of Dares and I couldn't have asked for anything better. I'm also completely and totally in love with Christmas, so it is even more amazing as it's a Christmas story!!! Really interesting fact, this book was written by both Rachel Cohn and David Levithan, and apparently (I read this in an interview online) they wrote by sending chapters back and forth. So Rachel would write one, David would read it, then he'd write the next one, and send it over to Rachel, and so on and so forth. This book and the one that came before it, are the definition of adorable holiday stories.